MsAn turned 5 in July..Yes I am still in shock! I am still in denial about the fact that she starts school in 3 months’ time ! My baby is a big girl now..OMG !! She is obsessed with dogs and the Paw Patrol Show. 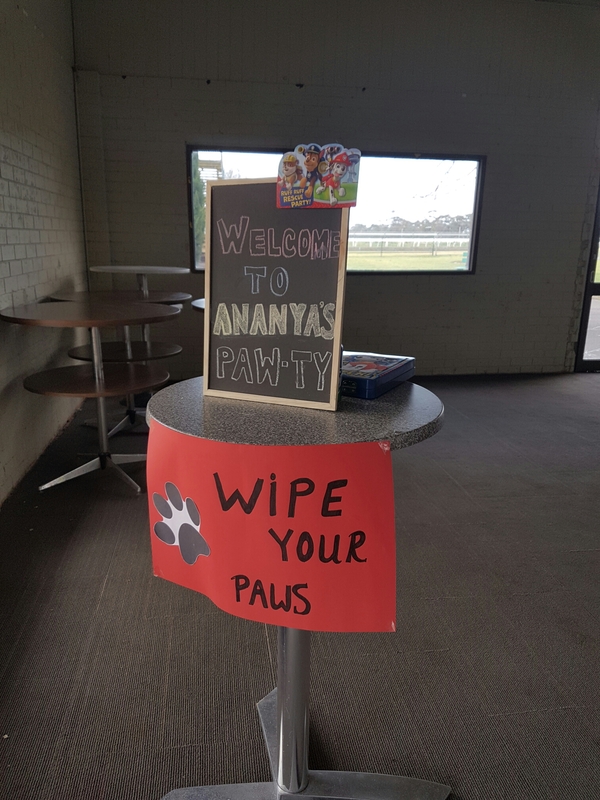 There was absolutely no confusion about what the theme for her party was going to be . 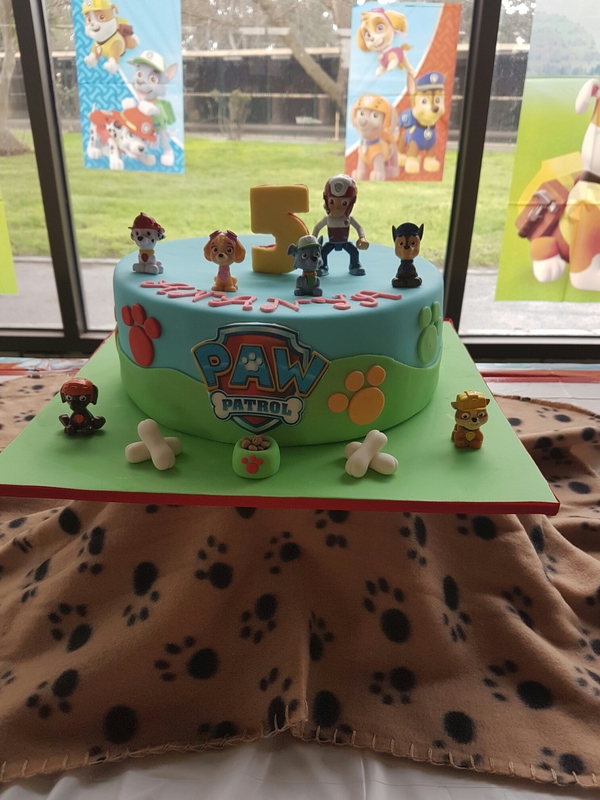 Once I had her go ahead, I asked two very dear friends for help and we set out to plan the best Paw Patrol party ever. Pinterest came in handy for inspirations . I had so much fun planning this Party. One of the things on my list was ‘Marshalpops’ and that called for red edible glitter . I couldn’t find any in the local shops and didn’t have time to look for it anywhere else. 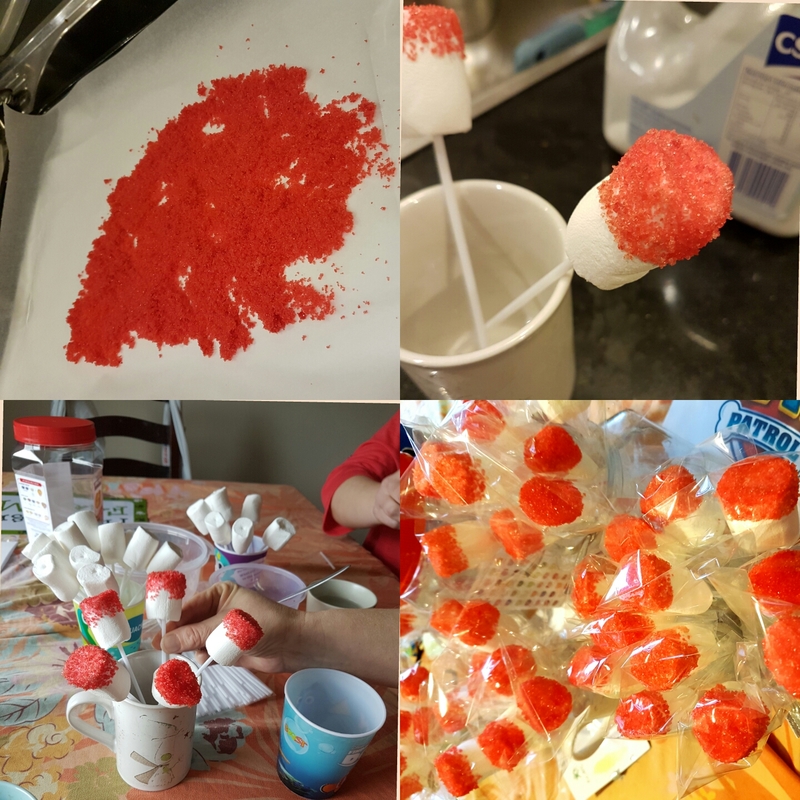 A friend sent me a link to make DIY edible glitter and I tried it.And we had beautiful sparkling marshalpops. 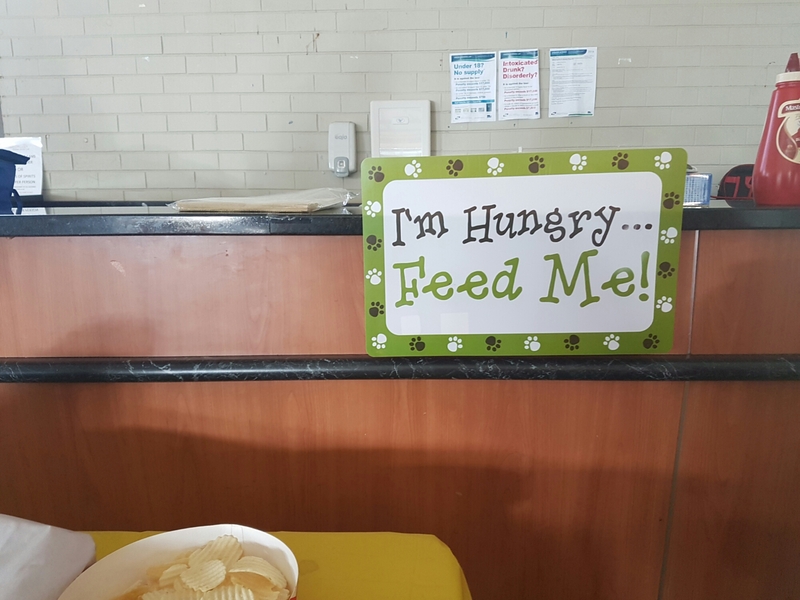 We made signs for the party and MsAn was such a perfect little hostess. She greeted each of her guests at the door and , instructed them to wipe their paws and showed them where the food was. She also very clearly instructed her friends that the characters on the cake were hers and they were not allowed to touch or EAT them! 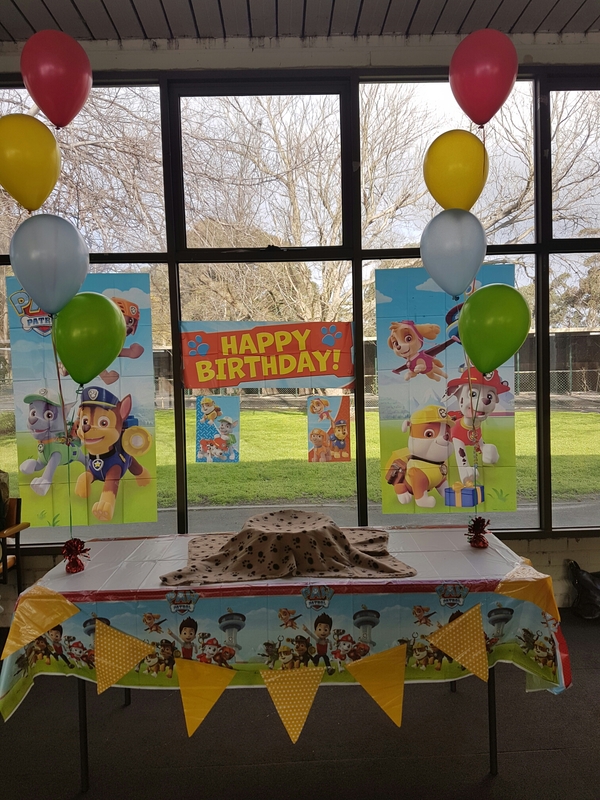 The cake table was set against the backdrop of her favorite characters from Paw Patrol. All in all, it was a great party and the birthday girl was super impressed ! Her smiles and an offhand comment from MsA( Actually that was a pretty cool party, mum!!) totally made it worth all the effort! Hiw come I was not invited. . Bow wow.. I bet it was a lovely party .. yesss!! I am still in shock!